Whirlpool built-in tubs and freestanding whirlpool bathtubs have both had their loyal followings over the years. Both have their advantages and drawbacks, so making the right choice is a matter of deciding on which best suits your needs. Whirlpool tubs have no doubt changed the way people experience their bathrooms. Whirlpool built-in tubs and freestanding whirlpool bathtubs have both had their loyal followings over the years. Both have their advantages and drawbacks, so making the right choice is a matter of deciding on which best suits your needs. The jetted built-in tub made its debut in American homes during the 1960s, while the freestanding whirlpool bathtub came along in the 1990s. Jetted tubs made it so that everyday people had a chance to bring a luxurious spa experience home. While the built-in tub is fixed in one place, that is recessed within an enclosure, a freestanding tub isn't necessarily a fixture. 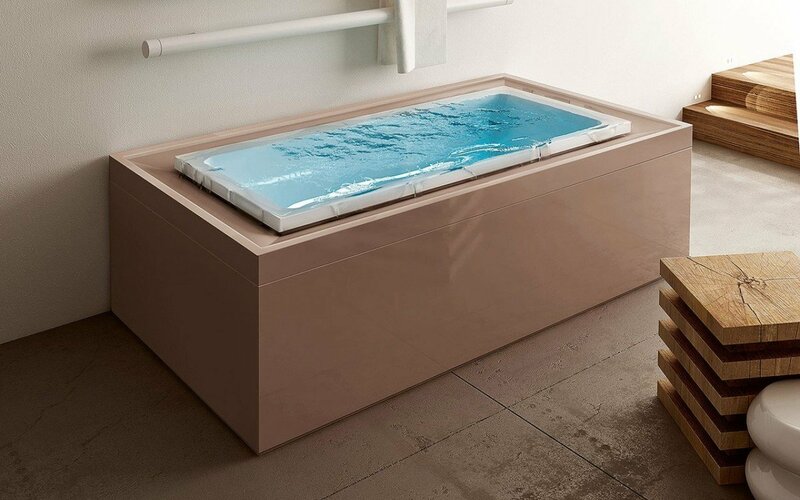 You “hook up” a freestanding whirlpool bathtub in a similar way to a washing machine. This means if you were to say, change houses, you could take the tub with you as easily as you would take a large home appliance. Freestanding whirlpool tubs are built on top of stainless steel tubular frames, which give it support and also makes room for the tub to use the bathroom's underlying draining system. The drain can be connected using a simple connector. The tubular frame has adjustable feet so that you can level the tub, even if the floor isn't leveled. The electrical requirements vary from a tub to tub, but usually, you can plug it into a standard electrical outlet. Since it usually takes just fifteen minutes to an hour to install a freestanding tub, and you don't need to be a rocket scientist to perform the installation, they score points when it comes to easy installing. Interior designers also favor freestanding bathtubs because of their simple installation, low cost, and wide variety. Because of recent innovations in materials and tub technology, today's whirlpool tubs are more affordable. They're also varied when it comes to styles and colors. They're designed for quick, easy bathroom upgrades that don't cost a fortune. The tubular support frame also leaves room for other extras as well. These include waterproof televisions, sound systems, chromotherapy lighting, and bathroom storage. 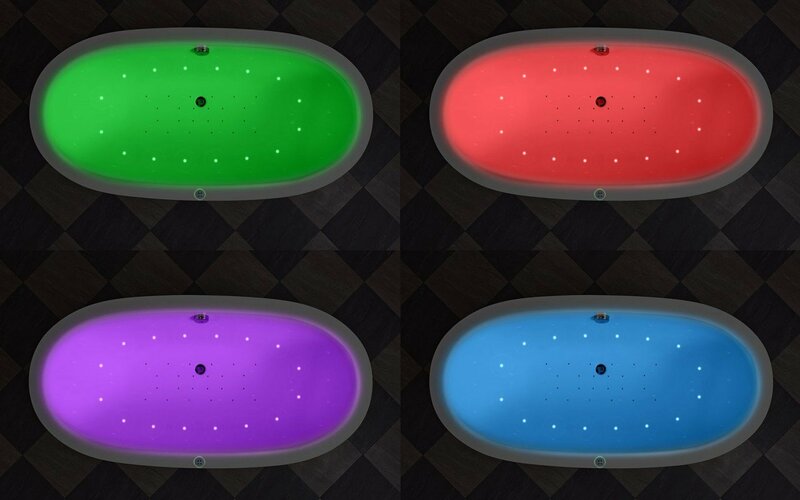 These extras allow each person to further personalize the tub to fit their needs. Freestanding bathtub extras aren't for everyone, but they're definitely a plus for those who would like to further upgrade their bathrooms this way. 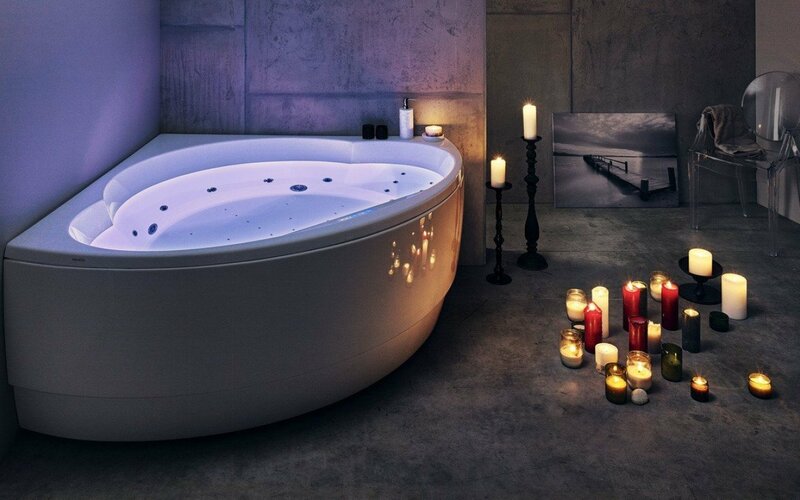 Space is also a consideration when trying to decide which tub is right for you. Freestanding tubs can be positioned along the wall, though they're best displayed in an open space. Freestanding bathtubs are designed to be eye-catching, dramatic centerpieces for the bathroom. For that reason, freestanding bathtubs require more space than its built-in cousin. Larger bathrooms are best for freestanding tubs, and might crowd out a smaller bathroom. Built-in tubs can be recessed along the wall, or even in a tight corner. They're space efficient while still adding a dose of luxury to a bathroom, so they're great for smaller bathrooms. If size matters for you, then freestanding bathtubs come in a variety of sizes. Built-in bathtubs have limitations when it comes to how big or small they can be. Both types of tub come in a variety of finishes, colors, and materials, but freestanding tubs have more to offer by way of style, shape, and size. Whether you favor a contemporary design, a classic claw foot tub, or an old-fashioned copper tub, you can find a freestanding jetted bathtub that suits you. Freestanding tubs offer much by way of ease of installation, and a wide variety of styles. Built-in bathtubs are great if you have limited space, and if you have no need for extra bells and whistles. Both options are affordable and are a great way to add a spa-style element to your bathroom. Whichever one you choose, installing a whirlpool tub in your bathroom is a great investment in your home.